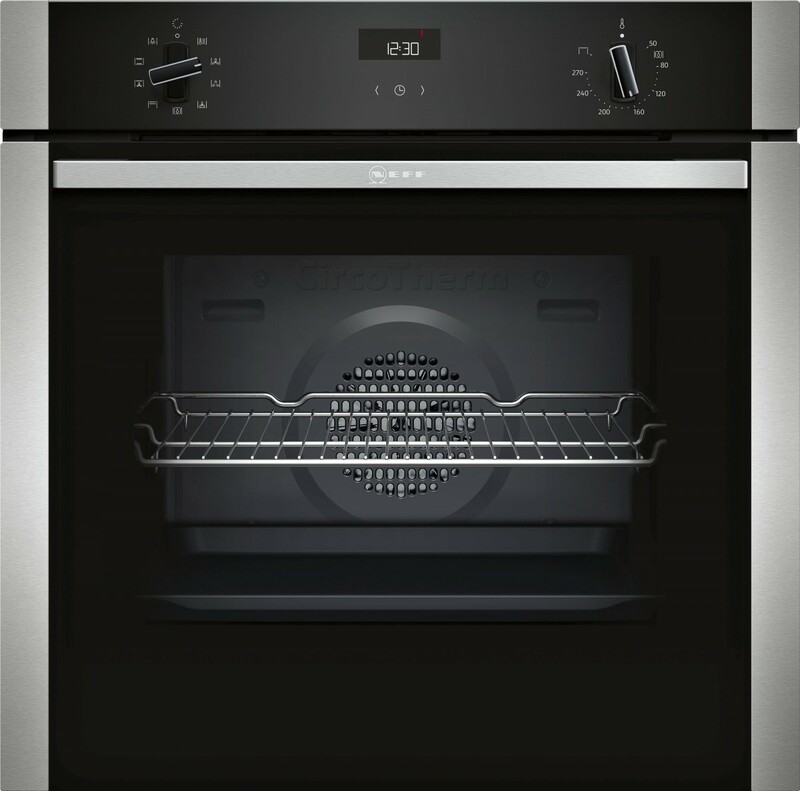 With triple glazed, heat reflective glass in its door and a solid, dynamic construction, the NEFF B1ACE4HN0B Single Oven, in stainless steel, will cook your food beautifully all over, with deliciously tender centres and wonderfully crisp and textured exteriors. It has 71 litres of capacity with 5 functions to choose from and 4 shelf positions so you can find the perfect height. You'll find it exceptionally easy to slide the oven shelves into place thanks to the included QuickConnect shelf supports. All your dishes and trays will be brilliantly supported, even much heavier dishes. The EasyClock feature enables you to time your meals precisely, and there's also an automatic on/off programmer to control cooking times and also to save on energy expenditure. The TitanEnamel and CeramiClean® liners in the roof and rear of the cavity make it considerably easier to clean too, so you're not crouched or bent for ages in front of it trying to remove those stubborn bits. Just wipe away the dirt, and enjoy the whole cooking process more. 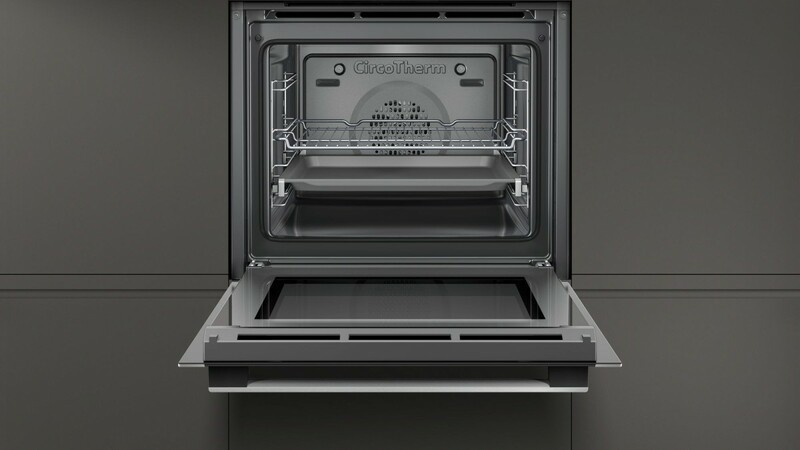 And with a terrific A energy rating this single oven will help to save on your bills as well as being good to the environment.